Bairstow Eves welcomes to the market this delightfully charming detached character style property located in the popular semi rural location of Shilton. 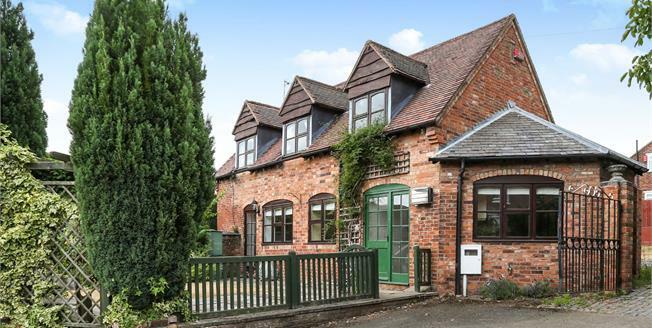 The property know as "The Stables" has an detached garage/workshop which has the potential of development. The property consists of entrance hallway, downstairs WC, kitchen, dining room, lounge, three bedrooms and a family bathroom. There is a garden and parking and the property is offered with no upward chain and is well presented. Call to arrange your viewing. Wooden double glazed door, opening onto the garden. Double glazed window facing the front. Radiator and gas fire. Double glazed window facing the rear. Low level WC, pedestal sink. Double glazed dormer style window facing the front and rear. Radiator. Double glazed dormer style window facing the front. Radiator. Double glazed window facing the rear. Low level WC, panelled bath, pedestal sink. This is a great useable space as a workshop/garage or even could develop or change use.